This is a woman’s only retreat where we focus on self-healing and doing some inner work so that we leave feeling Lighter, and with the tools to learn how to let go. Get ready for some Sister Circles, Guided Meditations, Healing and Releasing Practices, and free customized Gift Bags. This is the 3rd and final partial payment for the Retreat. Upon purchase, you recognize that your retreat tickets are now PAID IN FULL and we look forward to seeing you! NO TICKETS ARE AVAILABLE AFTER JULY 1, 2019, and ALL PAYMENTS ARE TO BE PAID IN FULL BY JULY 1, 2019. This is the 2nd Partial Payment for the Retreat. The finial $37 payment will be due 15-30 days after this payment. NO TICKETS ARE AVAILABLE AFTER JULY 1, 2019, and ALL PAYMENTS ARE TO BE PAID IN FULL BY JULY 1, 2019. By purchasing the Retreat Ticket (Partial Payment), you agree to pay 3 payments of $37 totaling $111. Also, the first initial $37 payment is to secure your spot for the retreat and is non-refundable. The second payment will be due 15-30 days after the initial payment, and the third payment due 15-30 days after the second payment. NO TICKETS ARE AVAILABLE AFTER JULY 1, 2019, and ALL PAYMENTS ARE TO BE PAID IN FULL BY JULY 1, 2019. EVENT DETAILS: Limited space for our first annual women’s retreat, located in Arizona. There will be an itinerary sent out via email after purchasing your ticket, and is used to maintain the coordination of the event. It is strongly recommended that you do not stray from the itinerary, to ensure we stay on schedule and utilize as much time as we can. The location of the retreat is 420 friendly but is not included with your ticket purchase, and participation is per choice. The house/rooms will be NON SMOKING and is mandatory that this rule be followed. If these things present issues or goes against your individual ideas, please do not purchase the tickets as the above mentioned is nonnegotiable. Since we are providing customized gift bags, you may receive emails regarding questions that will assist us in achieving this. 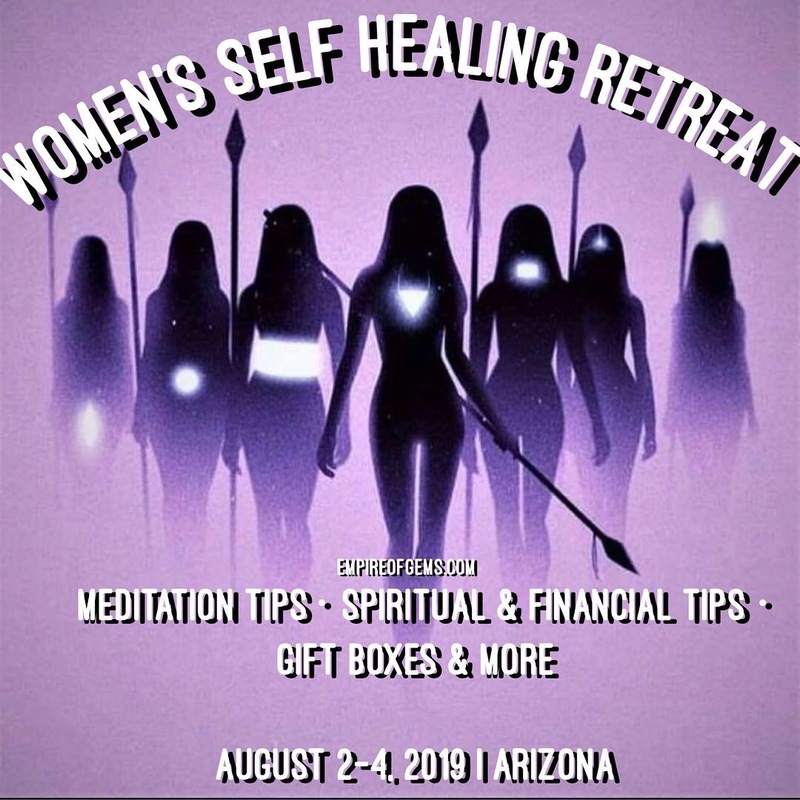 This sponsorship is for the Self-Healing Women’s Retreat this August in Queen Creek, Arizona. It buys your business logo on all event promotional and marketing items and posts, as well a demonstration/speaking time, and company logo and web address on each ticket and included on each gift bag. Speaking/Demonstration opportunity is for 2 hours, is set aside for Saturday, August 3rd, and can be at any time during the day. Speaking/Demonstration opportunity closes for Saturday at 5pm, meaning you must be present to speak and showcase your products before 5. Saturday is the ONLY day for sponsorship speakers. Location will be sent via email after purchase of sponsorship. Sponsorship Purchases are Non Refundable.